Harridge Events are proud to bring you a round up of this season’s hottest Christmas sharers across London. We’re certain you’ll be thanking us later when you have secured your tables (often with an early bird discount) and come December, all that’s left to do is choose your party outfit! Keep an eye out for our exclusive parties newsletter later in the year too. For those of you looking outside of the city, get in touch to learn more about the bountiful variety of parties available up and down the country to suit your group! Accommodation and transfers all arranged by Harridge Group. Both parties include festive New York theming, prosecco reception, 2-3 course dinner, live acts and DJ until late! VIP reception area available for groups of 50+ at Finsbury. Marvel at fantastical entertainers performing throughout these dazzling parties. An exciting and eclectic mix of the best food and entertainment that the world has to offer + unlimited drinks packages meaning no worries about additional costs throughout the night! 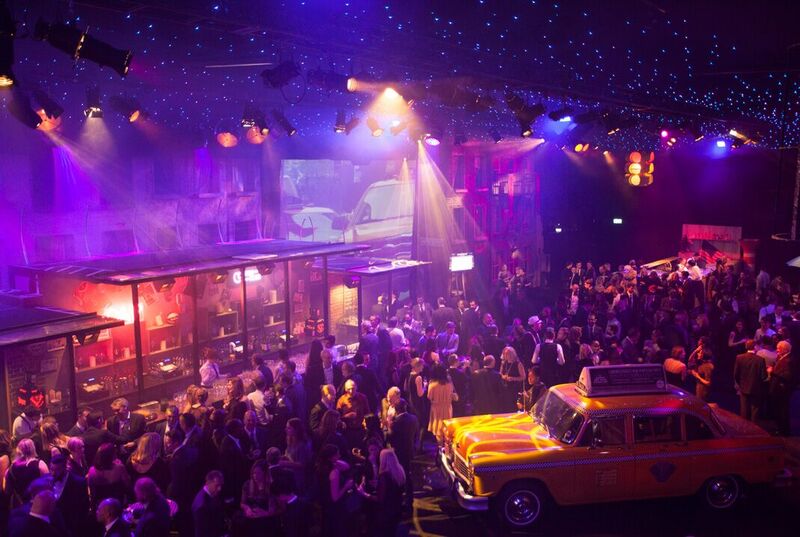 VIP reception area available for groups of 50+ at Battersea. Party from 18:30-midnight dressed in gowns and colourful costumes amongst opulent surrounds. Free photos of the night and unlimited wine, beer and soft drinks throughout- ​A dangerous combination. Do not forget your mask! Available Friday 14th Dec, or Wednesday 19th Dec. Both parties offer an extensive package as standard including welcome reception, 3 course seated meal and unique entertainment throughout your night such as dodgems, or reindeer rodeo + DJs until late. VIP reception area available for groups of 50+ at St Albans. 2hr murder mystery performance + prosecco reception, 3 course dinner, super slueth prizes, coffee & mince pies + DJ until 1am- From £75+VATpp. 2hr theatrical comedy performance + 3 course meal (lunch, or dinner) in festive surroundings in the heart of the West End. Ideal base to go late night clubbing afterwards! VIP upgrade available. Sparkling reception, 2hr stand up comedy + 2 course meal or buffet dinner followed by DJ until late! More information on all parties described above plus more, available upon request. Email contact@harridgeevents.com or call 02085662770.